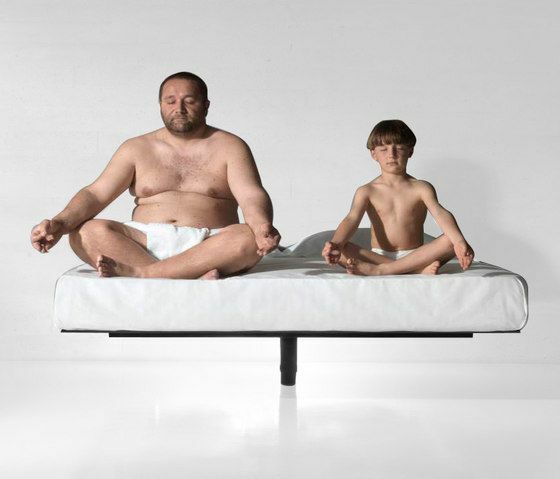 Fluttua is a suspended, height-adjustable bed available in round and rectangular models. The Fluttua bed eliminates everything superfluous to leave more room for thought. The characteristic of the product is its single, height-adjustable central leg and 8 mm thick layer base combined with a solid iron structure anchored to the wall.